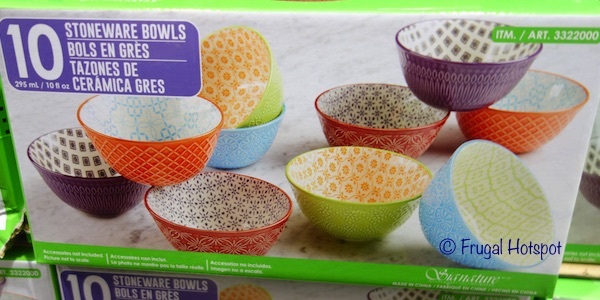 These cute, colorful hand painted bowls are little and work great for serving nuts, sauces, ice cream, berries and more. 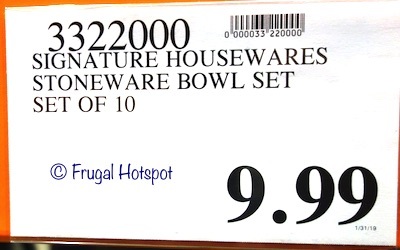 Select Costco locations have the Signature Housewares Stoneware Bowls 10-Piece Set in stores for a limited time for $9.99. While supplies last. Item #3322000. The bowls are microwave safe but may get hot, so use with care. They have a capacity of 10 ounces (295 ml). 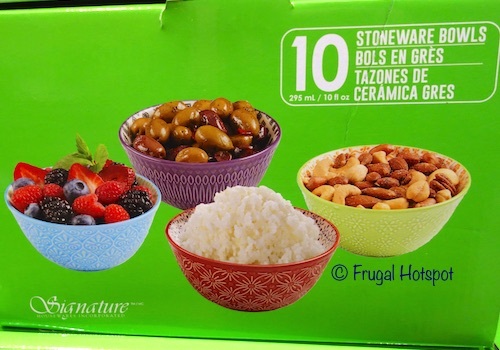 The stoneware bowls are dishwasher safe but are NOT for oven use.